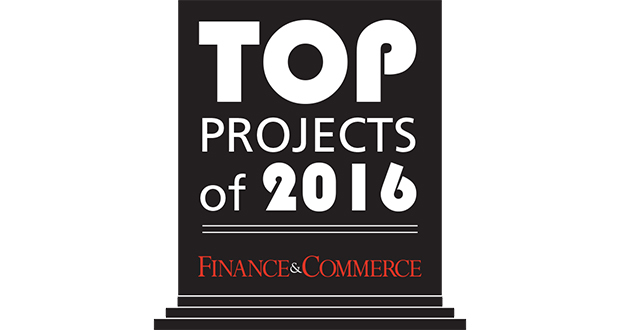 Finance & Commerce recognized it’s Top Projects of 2016 at its annual awards ceremony held on July 26, 2017 at Minneapolis Event Center. A panel of experts in construction and closely-related industries selected the 33 honorees for 2016. OlympiaTech was proud to have provided electrical construction services for two of the recognized projects including Hewing Hotel and Star Exhibits. The Hewing Hotel project entailed renovating the historic Jackson Building in Minneapolis’ North Loop neighborhood into a Nordic-influenced, boutique hotel. Star Exhibits was a design-build, new construction project to house Star’s Minneapolis headquarters.